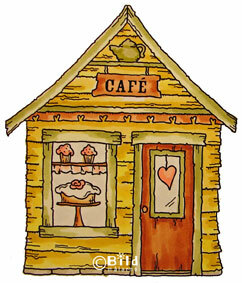 This stamp is called CAFE and it is a cute corner shop complete with sweets in the window. Makes a great backdrop to use with your character stamps or looks great used alone too! This measures approx. 3 1/4" tall x 2 3/4" wide.